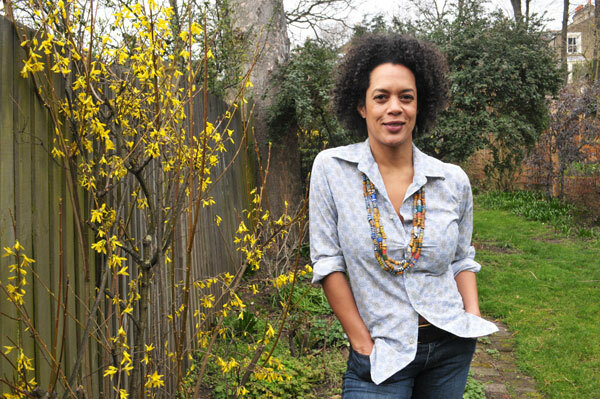 Aminatta Forna is most recently the author of The Memory of Love. Condition of Mr. Segundo: Trying to remember where his lost car keys are so he can learn to love again. Subjects Discussed: Writing about Sierra Leone without naming the country, adopting a tone that is simultaneously universal and specific, combating the “news vision” of the Western mind set, the moon landing and the historical sense, “Kung Fu Fighting” in a different context, media mechanisms and attempts to memorialize, Albert Dada and roaming travelers, fugue controversy, narrative ideas emerging out of research, having to leave some research behind, entering other people’s lives, spending two weeks in an operating theater, carrying over the character of Adrian from Ancestor Stones, when “lesser” countries are asked to explain their existence, Adrian playing a role for the reader, the disparities between Kai and Adrian in The Memory of Love, kinship between cooking and surgery, challenging someone to a race on a beach and breaking an Achilles tendon, how similar character qualities can be a benefit and a risk, characters and a prefigured narrative, writing a perspective from the male vantage point, roadside stops and car moments used to foreshadow tragic events, getting arrested, the ethics of colluding with corruption, “writing like a scientist,” avoiding conscious thinking about metaphor, conflating fiction with fact, how a “unique” Sierra Leone story is ubiquitous in Sierra Leone, Argentina as an early influence for The Memory of Love, “pasting the facsimile of a smile on my face,” being a people person, why “not being evil” doesn’t necessarily make you good, PTSD as a normal characteristic, “write about what you know” versus “write about what you want to find out,” and the novel as a medium for relative normality. Correspondent: I wanted to talk about Albert Dada, who is a figure in A History of Mental Illness, the invented book within the book. You have Adrian come across the case of this guy, who decided to abandon his gas station. And this, interestingly enough, is a psychiatrist. And then he goes ahead and starts traveling at 70 kilometers a day. Just becoming this crazy, wild, roaming traveler. I’m curious how that served as this cultural reference point. Because he’s not exactly as popular as, say, Neil Armstrong. Forna: Oh, well it went the other way around actually. It went the other way around. I was told a story about a woman. A true story. By a human rights worker. A Sierra Leone human rights worker. And I was told a story about what this woman had suffered during the war. How she had fled to a refugee camp in a neighboring country and then come back. And what she found, this human rights worker told me. And I don’t want to give the story away. But it was so shocking. It absolutely left me speechless. And that story returned to me when I came to write The Memory of Love. And I wanted to create a patient for Adrian. You know, Adrian is there looking — he’s there to help himself as well. But anyway, what happened was that I tried to think of, to actually imagine, if that happened to you, what your mind would do. Or what it would do to your mind. How can we survive that? And I came up with something that I had already seen happen a little in Sierra Leone, which was that people often did step out of their lives. And women in particular often did just step out of their lives and go walking. Not in that fugue state. Not in a dissociative state. It was just a self-healing thing. They would say, “I’ve got to get away from here for a bit.” And they would just go traveling and they would come back. And nobody thought this was curious. It was just part of the culture. So I thought, “Well, here’s something she might do.” Because she has suffered this extreme trauma. So I began to read about fugue. And then I realized that there was this whole controversy around it. I wrote a book about it. And it all seemed to fit. It fit with what Adrian was there to do, which was try to find something that might advance his career. As well as help the country, of course. But you know, he had other motivations. It fit with Agnes: the character, the patient he sees. So these are wonderful moments where you get this perfect storm in your research. But that’s the way I work. I do quite a lot of research and after the research comes the ideas usually. I go places. I know some writers work like this and others have a plot and then they fit everything to the plot. But I tend to go and see. And then the stories arise out of that. Correspondent: But there must be a danger in getting bogged down in too much research. The idea perhaps that you attempt a narrative, but that it doesn’t necessarily flesh out. Is this an issue with you? Forna: Yes. Both of them. (laughs) The “too much research” — it’s less of a problem because I used to be a journalist. So we got used to having to leave some of our research out. We knew that you can’t get it all in. Which is always the danger. The first failing of young journalists. Attempt to use everything they’ve discovered. I know that there will always be a place for it in a later book. And I was once asked this by a creative writing class that I was talking to. “Well, what do you do with the research that you don’t use?” And I said, “Well, it’s usually the next book.” Or it’s the one after it. So nothing’s ever lost. I don’t worry too much about that. And what was the other part of the question? Correspondent: Oh. It was about the amount of research and also what happens if some finding doesn’t work its way into the narrative. Yes. Forna: Well, of course, my books are character-led rather than plot-led. So I will always refine the plot to what they are likely to do. But research is important for all kinds of reasons to me. Because it sparks so much. I love it. The reason I am a writer, the reason I was a journalist, is because I love entering other people’s lives. So in that period before I actually sit down to inhabit the character that I’ve created and become that person, I spend quite a lot of time trying on parts of their life. So for Kai, I spent two weeks in an operating theater. For Adrian and Attila, the African psychiatrist that is rather ill-tempered who he works with, I also spent two weeks in a mental hospital in Sierra Leone. So I try on their lives to see if they’ll fit when I come to create the characters. Somebody called it “method writing.” And maybe sometimes I go too far. But I enjoy it a great deal. I enjoy all of that. And when I come to write it, I feel that I fully constructed this person. And now I can be them.